Thanks for visiting my website. I am a Visiting Professor at University of Toronto, where my supervisor is Alec Jacobson. I am currently on leave from UFSC, Brazil, where I am a Professor at the department of Mathematics. 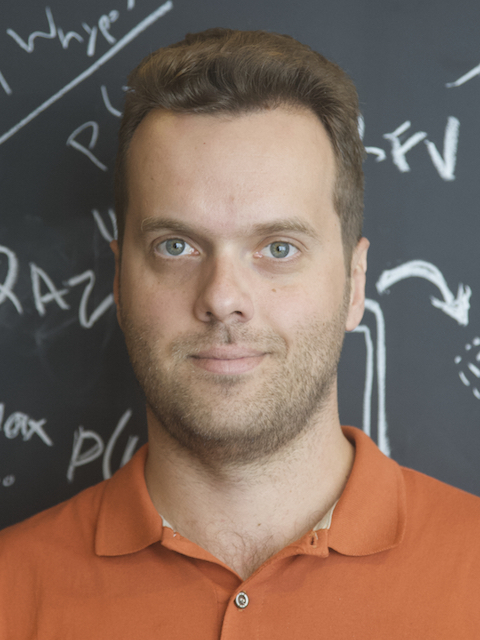 Before joining UFSC, I was a doctoral student at IMPA and a visiting student at ETH Zurich. My main research areas are Geometry and Image Processing. Authors: Leonardo Sacht, Diego Nehab, Rodolfo Schulz de Lima. Publication: International Journal of Image and Graphics, volume 18, Issue 3. Authors: Leonardo Souto Ferreira, Leonardo Sacht, Luiz Velho. Publication: Computers and Graphics, volume 68, November 2017 (SIBGRAPI 2017). Authors: Leonardo Sacht, Etienne Vouga, Alec Jacobson. Publication: ACM Transactions on Graphics, volume 34, Issue 6 (SIGGRAPH Asia 2015). Authors: Leonardo Sacht, Diego Nehab. Publication: IEEE Transactions on Image Processing, Volume 24, Issue 12. Authors: Luis Penaranda, Luiz Velho, Leonardo Sacht. Publication: Journal of Real-Time Image Processing, May. Authors: Leonardo Sacht, Alec Jacobson, Daniele Panozzo, Christian Schueller, Olga Sorkine-Hornung. Publication: Computer Graphics Forum, volume 32, Issue 5 (SGP 2013). Authors: Licio Bezerra, Leonardo Sacht. Publication: Applied Mathematics and Computation, volume 217, Issue 24. Authors: Joao Paulo Navarro Barbosa, Leonardo Sacht. Publication: J3M - UFPR (Undergraduate Works). Authors: Carlos Eduardo Leal de Castro, Leonardo Sacht. Authors: Thais Muraro, Daniel Martins, Leonardo Sacht. Publication: International Symposium on Multibody Systems and Mechatronics (MuSMe). Authors: Maria Eduarda Duarte, Leonardo Sacht. Publication: SIBGRAPI Workshop of Undergraduate Works (WUW). Authors: Airton Jose Schmitt Jr., Leonardo Sacht. Authors: Leonardo Sacht, Luiz Velho. Publication: International Conference on Computer Graphics Theory and Applications (GRAPP), short paper. Authors: Leonardo Sacht, Luiz Velho, Diego Nehab, Marcelo Cicconet. Author: Leonardo Sacht. Advisor: Diego Nehab. Author: Leonardo Sacht. Advisors: Paulo Cezar Carvalho, Luiz Velho.